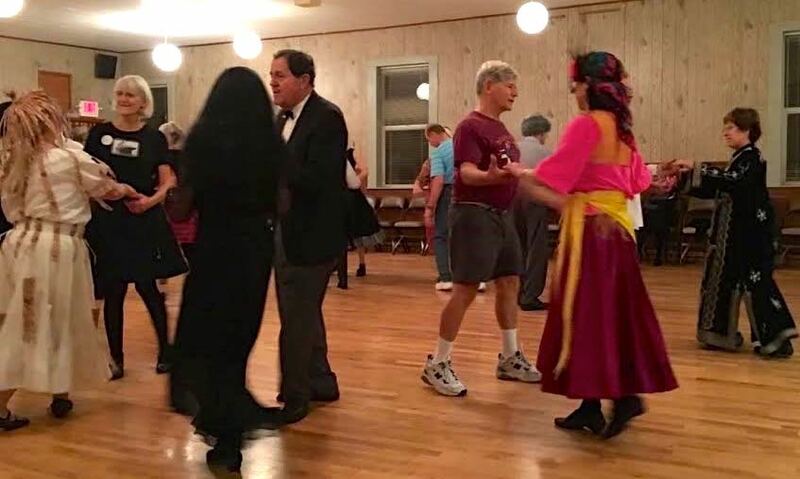 Sno-King International Folk Dance Club invites you to our Halloween Party 7:00 to 9:30pm at the Cedar Valley Grange, 20526 52nd Ave W, Lynnwood. Wear a costume and win a prize! We will do dances from many countries, including partner, no-partner, and set dances, and you don’t need to bring a partner. Finger-food potluck dishes are encouraged. The Grange has a great hardwood dance floor and lots of free parking. Join us also for our regular dances including lessons every Wednesday and Saturday , starting at 7:00pm. Wednesday is all requests, and Saturday has a program of dances, with room for requests. Folk dancers have more fun! The donation is $8.00 for non-members and $6.00 for members. Yearly membership is only $15.00 ($25.00 for a family). For information, call 949-646-7082, or email.